Jamie Purviance’s Weber Hot & Spicy Best Recipes for your Braai is for those who like it hot and spicy … the recipes are rated for heat and range from tangerine chicken (3/10 on the heat scale), through the completely delicious prawn tails with Bloody Mary cocktail sauce (6/10) to braaied potato salad with smoked trout, red onion and spicy greens (a hottish 7/10). There are loads of sides along with seasonings and sauces which include an eye-watering habanero-rum sauce which, at 10/10, is not for the faint-hearted. Useful info is the section on various chillies and spices and braaiing fundamentals. 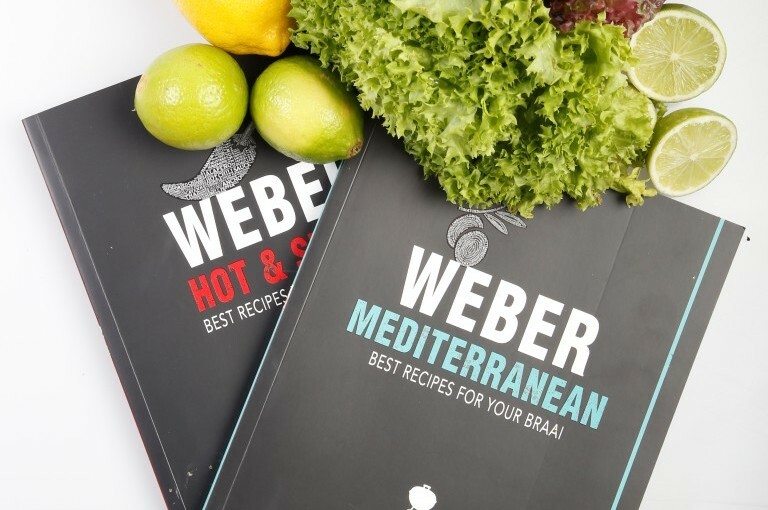 For something with more of a Mediterranean feel, Jamie has also put together Weber Mediterranean Best Recipes for your Braai … proving that with very little effort you can dish up something deliciously glam. Fancy fish? Try yellowtail with orange, fennel and parsley gremolata or scallops with Italian salsa verde. More of a meat lover? Try Bistecca alla Fiorentina over rocket with shaved Parmesan. For dessert think hot plums with brandy-allspice butter or roasted oranges with ouzo over ice cream – wow! There are loads of luscious sides plus essential tools and braai time guides. A must-have for fans of outdoor eating. Both are Struik Lifestyle books, R170 each.